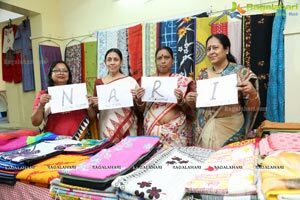 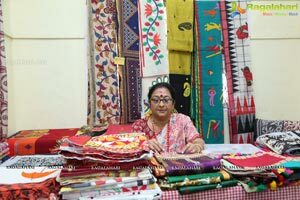 Hyderabad, 05th September 2018: Swayambhar NARI 7day Exhibition of Handicrafts from Shantiniketan / West Bengal to help poor artisans who can’t market their own products kicked off at YWCA today. 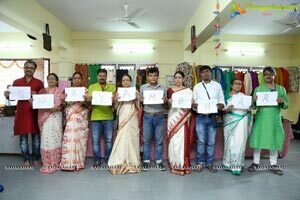 Organized by Swayambhar NARI (Non-formal Action Research Institute), a Kolkata-based Voluntary Organisation it is being held at YWCA, West Marredpally Road, Secunderabad. 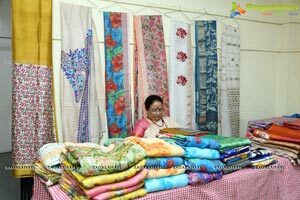 It will be held from 5th to 11th September from 10am to 8pm daily. 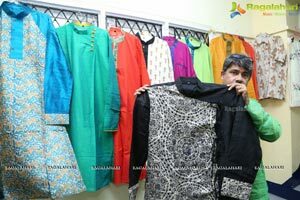 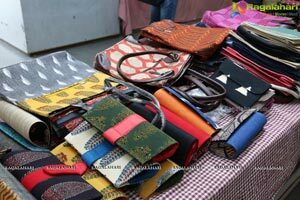 The Exhibition organised to help those poor artisans who cannot market their products. 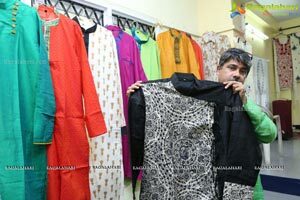 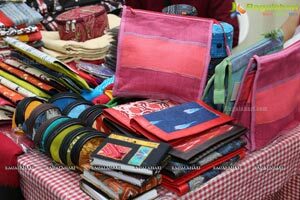 Twenty artisans from Kolkata are showcasing their handicrafts products. 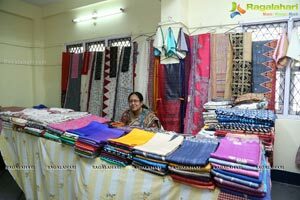 The 7 Day fair was formally opened by Ms. Nymphea Reddy, Board Member of YWCA of India today. 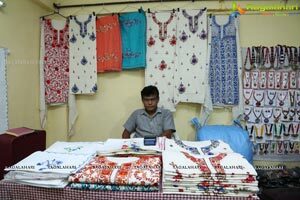 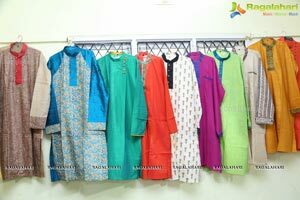 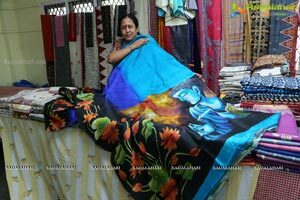 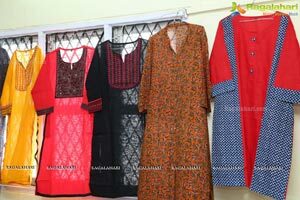 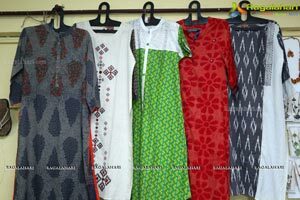 Handmade Bed Covers, Jute Jewellery, Jute Footwear, Design Saree in Cotton, Tussar, Silk Block Print, Applique, different types of embroidery, Kantha embroidery, dress material, dupatta, bed covers, ladies and gents kurtas, mats, jute bags and different types of jewellery are some of the highlights. 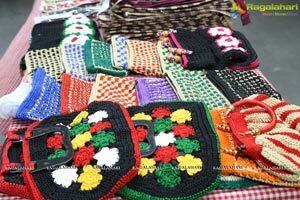 Designer Grass Mats made of Golden Grass, Handmade Jute and Stone Jewellery are some of the highlights of the exhibition. 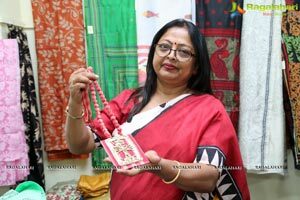 Designer Grass mats cost Rs 5000/-, a tussar silkbed cover costs Rs 15000/-, jewellery made from towel costs Rs 750 and waterproof cotton hand bag with leather handles are few highlights. 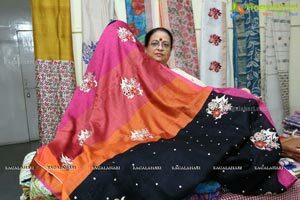 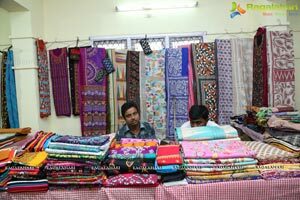 Kantha embroidery collection as dupatta, sarees, dresses, shirts, material and bags. 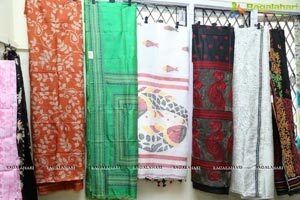 Kantha is a popular style of embroidery that comes from West Bengal, is a significant symbol that displays the skill and talent of the rural women in Bengal. 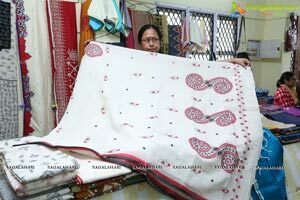 It is perhaps the oldest forms of Indian embroidery as it can be traced back to the first and second A.D. 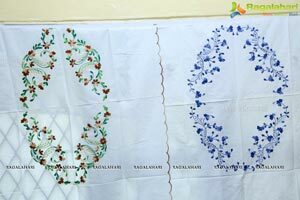 The thought behind this needlework was to reuse old clothes and materials and turn them into something new. 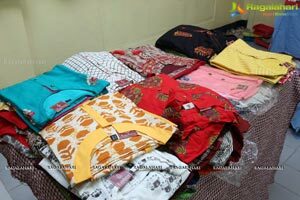 This is what makes kantha embroidery only one of its kind. 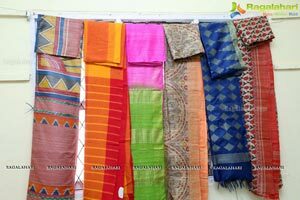 Kantha work is approximately 500 years old. 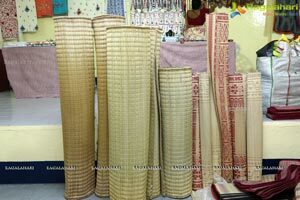 Designer Grass Mats made of Golden Grass and Khesh Sarees, made using a unique technique of weaving old sarees by tearing them into thin strips are some highlights, handmade stone and Jute jewellery are some of the other highlights of the exhibition. 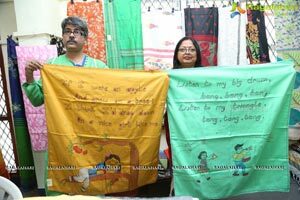 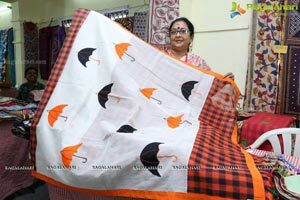 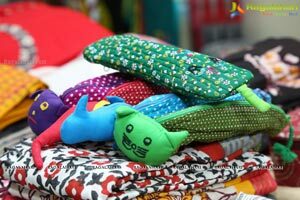 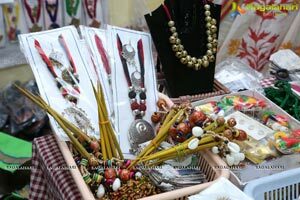 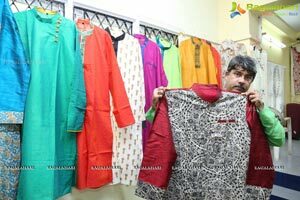 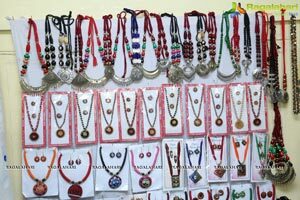 Different boutiques are also participating from Kolkata with their creative items. 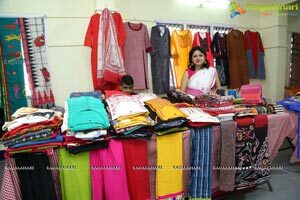 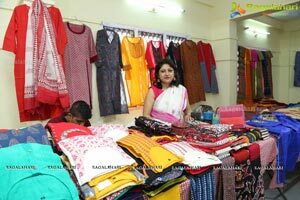 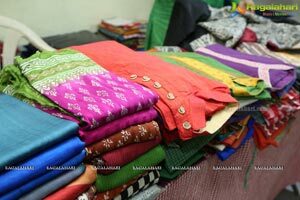 It also showcases Handloom and Linen Sarees. 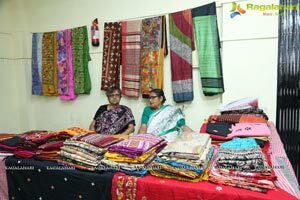 The focus of the exhibiton is to improve the socio economic status of socially handicapped communities. 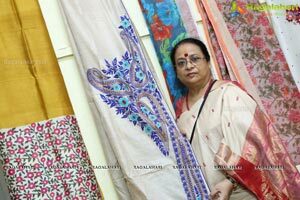 So buy a products from the exhibition and it will help artisans. 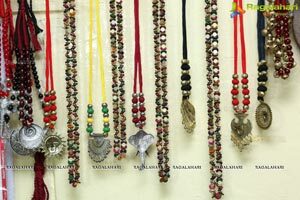 Swayambhar NARI was started in 1988 essentially for women but over the years the male craftsmen too have joined. 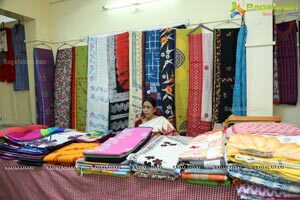 It was started as a voluntary group for providing marketing facilities to craft persons. Today, it has more than 1,000 members. 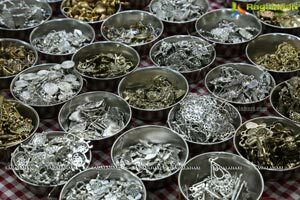 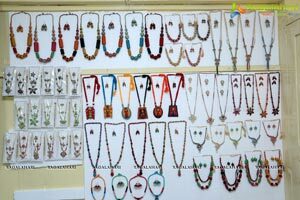 The organisation runs two craft schools at Midnapore and Birbhum, Shantiniketan besides schools in rural areas for the craftsperson’s' children. 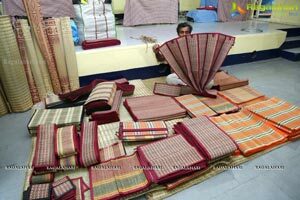 It advises craftsperson’s on design matters. 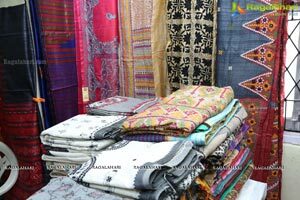 Swayambhar NARI activities are supported by Office of the Development Commissioner (Handicrafts), Ministry of Textiles, Govt. 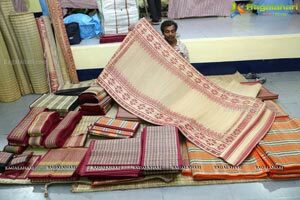 of India; National Jute Board (Ministry of Textiles, Govt. 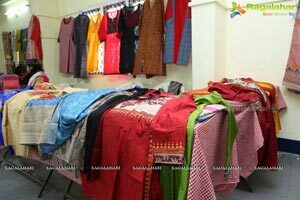 of India); KHADI; National Bank for Agriculture and Rural Development (NABARD), Wadi Project of NABARD, National Institute of Design (NID) and National Institute of Fashion Technology (NIFT) for skill up gradation and product diversification in handicrafts. 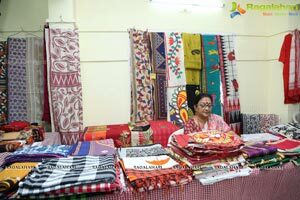 Besides promoting the handicrafts and handlooms, the exhibition lays special stress to shun plastics and use Jute and other eco-friendly products.